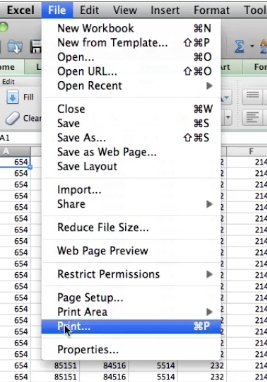 To email an active worksheet select file and then choose the print option. You’re not actually going to print this. You’re going to choose the pdf drop down at the bottom left of the box. A pdf will now be inserted into your native mail program. Input the email address you want to send it to and click send. The excel sheet will now be emailed.